I have a family business of jewellery in the city of Bangalore. This business has been in our family since the last two generations. My grandfather had started it and now the responsibility has come on my shoulders to keep the business up to the mark. Last year I got married and I have a son only two months old in age. I had been saving money since long to save myself enough money to be able to purchase a new car for my family. 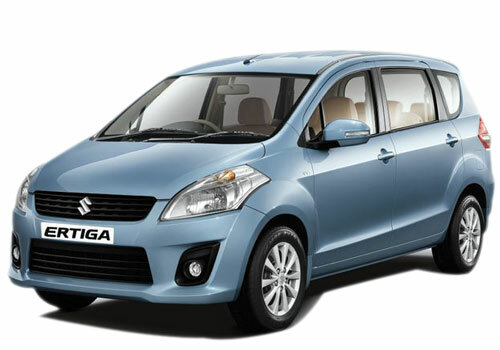 Last month itself I purchased my new car, the Maruti Ertiga VXI. I had gone for this car after I had a very good experience with the company’s super successful product the Maruti 800. I had been driving that car from the last six years. And I had been very happy with it. And from that time itself I had decided that if I purchased a new car then it will be from Maruti. Maruti Suzuki is India’s largest car manufacturer and it is renowned to produce cars which are not only in the budget but also are fully equipped with all the needed features. The car which I own is the second variant in the Ertiga line up. The car gives a reasonably good mileage of 16 km per litre. I think that it is a bit low and it could have been more enhanced, maybe just a little bit. Being the second variant of the line up the car is a bit more furnished as compared to the base model. The car has been given many features like air conditioning system with heater facility, mp3 player with AM and FM radio with USB support, tachometer, keyless entry, power windows, power steering and other such features. Although these features which are present in the car ensure a comfortable experience; both for the driver and the passenger, I still feel that the car has some space left for more features and even the legroom in the car could have been a little more enhanced and made larger. The car still lacks some essential safety features like ABS, which I felt needed to be there for the price that I am paying.